Meadowfoam and Blackberry Honey- THIS IS AMAZING!! I like sweeter, floral honey but this is by far the most dessert tasting honey I've ever had. It really does taste like vanilla and marshmallows!! If you ever see Meadowfoam honey and you haven't had it, get it! Bee Local Pure Pollen- Bee Local is an Oregon based apiary. I've never had pollen but everyone says it's good for you. My husband says it's terrible tasting so I'm loathe to try it. His family kept bees. I like honey and I like bees but I'm not so sure about ingesting pollen. Citronella Beeswax Votive and Holder- I like the smell of citronella and this is reasonably strong. I smelled it before I opened the box. :) I kind of want to save it for camping since I'm allergic to mosquito bites but it might not get used for awhile and it smells good! Torie&Howard Organic Hard Candy in Grapefruit- Candy made with honey. That doesn't make it low calorie but these are tasty candies. Aurora Glass Window Hanging- I should have taken it out of the box for the photo. It's a round glass disk with a bee imprinted in it. There's a string to hang it up with. I'm thinking of putting it in my garden for color, hanging it on a tree branch or something. It's made using recycled glass. Sunny Honey Company Sweet Clover Honey- A Seattle apiary. I didn't care for this honey but I think I don't really go for urban honey much to begin with. I do tend to prefer clover honey and pacific northwest apiaries but this one didn't do it for me. Especially compared with last months. Plus it was such a small bottle. Rachel's Plan Bee Original Bee Cream- A moisturizer made with beeswax. Very creamy and smells yummy. For hands, cuticles, knees and elbows. A little definitely goes a long way. Talisman Designs Beechwood Honey Spreader- Super cute! I don't have one of these! It didn't fit in the little bottle of honey that arrived with the box but I've plenty of other bigger jars. Little Truths Studio Watercolor Apiary- This has already been framed and is on my bookshelf. Seed Geeks Honeybee Collection- Five seed packets designed to bring the honeybees to your yard. They're organic and therefore expensive. They work fine. I tossed some seeds in a bare patch of my yard and they're coming up now. Ona Honey Nut Bar- Grain free, gluten free but made with honey! Beeswax Tea Lights- A 2 pack of tealights that smell wonderfully of honey. Yum! Life is Sweet Notebook- This is super cute buuuuut rather flimsy. All the pages fall out when you turn them. Such a bummer but I'm using it anyway. Works for a shopping list at least. 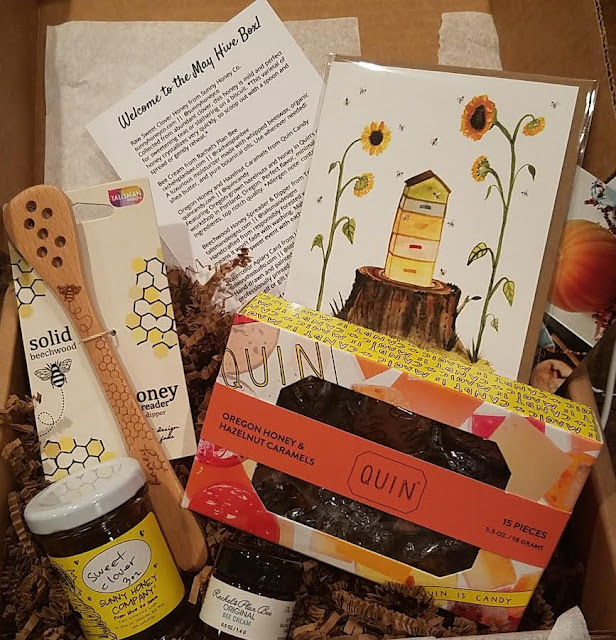 Pacific Northwest Honey Farm- Raw, delicious, glorious honey! A big jar, too! This is a fantastic honey, sweet and flavorful. I had to ask where it came from and contacted the apiary to see if I could get more of it. No answer yet so I might have to call them. Hopefully they'll ship some to me. At least we are both in Washington! VERDICT: I'm really enjoying this subscription! The one thing I don't like is that they do not disclose the apiaries their custom label honey comes from. This is a disservice to the apiary and to the customer who cannot get more because they don't know where it's from. 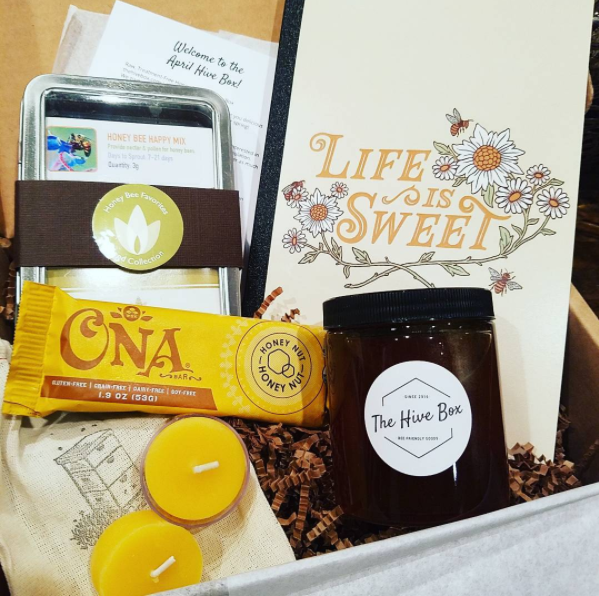 It wouldn't be so bad if The Hive Box stocked the honey in their online shop but they don't. So far they've been forthcoming when I ask but it's annoying to have to do so. What I *do* like is that whoever is choosing the honey is doing a FANTASTIC job because I have now found two honeys I can't live without (I'm sure I can't!). I do wish the sizing on the honey was bigger but hey, I go through a lot of it. The extras are fun and improving with each month and I always need more bee related things in my life. If you would like to sign up for The Hive Box, you can do that here. 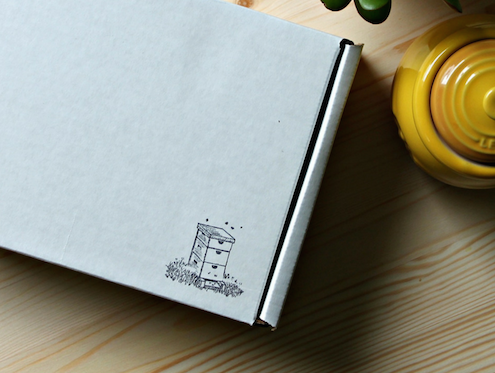 Use coupon code BITSBOXES for 10% off your first box!! 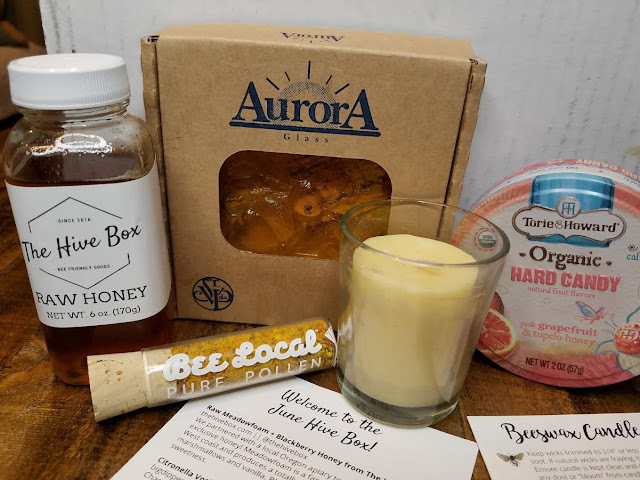 Have you tried any other Honey boxes? I see now that there are some ones I haven't tried and I'm thinking I need to!